October 24th, 2015, Universitas Muhammadiyah Yogyakarta is now making an initiation to hold Joint Degree (JDP) between Magister of Governmental Science UMY and Public Administration, Sun Moon University, Korea. In order to make a complete preparation in realizing JDP, the workshop and seminar was held in A.R. 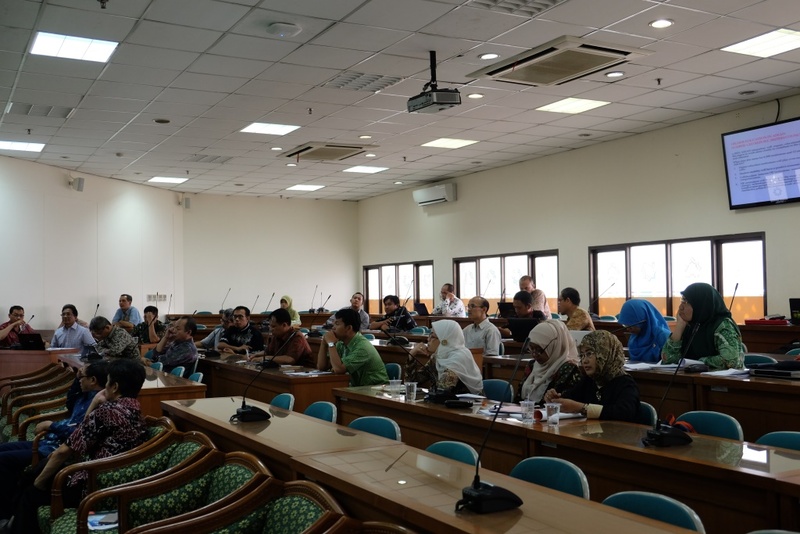 Fahrudin A, 5th floor, Universitas Muhammadiyah Yogyakarta and was attended by the head of every department from Bachelor degree, Magister degree to Doctoral Degree and the representative of Academic Bureau of Universitas Muhammadiyah Yogyakarta. 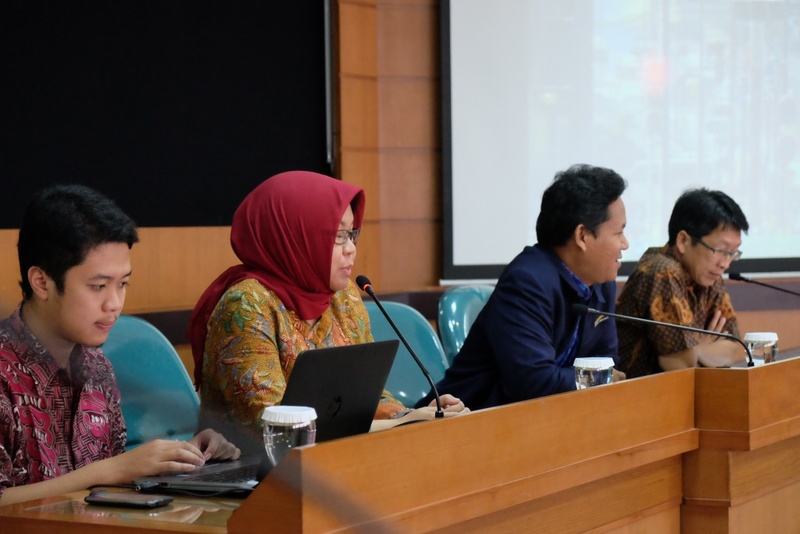 In the workshop, the participants were informed the definition of Joint Degree Program, Dual Degree Program and Double Degree Program, and how to implement the program. One of the speakers in the workshop and seminar, Purwanto Subroto, PhD. was explaining about the way to propose permits in building cooperation between Universities. 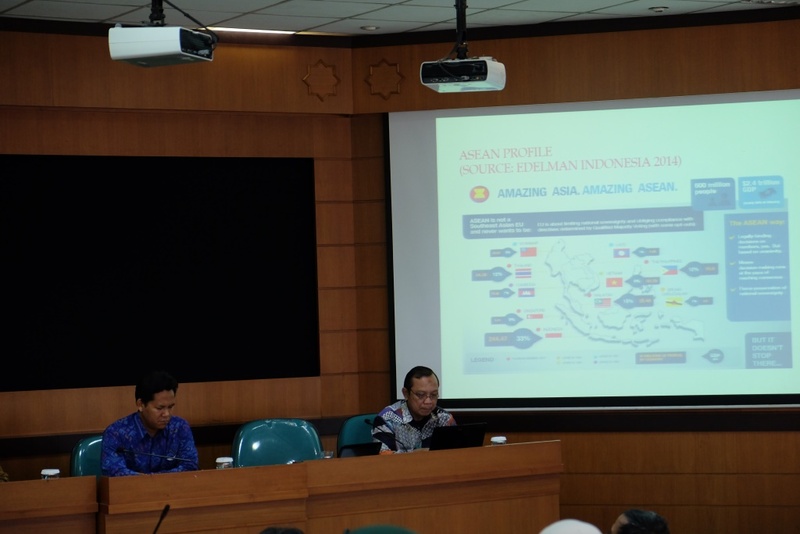 One of the speakers explained about ASEAN Profile in the Workshop.